The first conference in Ireland aimed at people who invest in art, or would like to, takes place in Dublin next month. tax experts, legal advisers, dealers, art economists and risk strategists who work in wealth and collection management. As an industry, in global terms the art world is incredibly small and still very traditional. However, art is now considered an asset class and private transactions are discrete. This adds allure, intrigue and excitement, particularly when a well-established artist comes to public auction. One fascinating aspect of the business is how the market reacts to a “sleeper” when one appears at auction. A “sleeper” is a work of art that has gone unrecognised and whose true creator has not been revealed. It may have lain neglected for decades, if not centuries, until such time as it is attributed an Old Master, such as in the recent case of the Rubens portrait found in a country house in Glasgow. This causes a frenzy on the international art market. So remember to have a closer look at that painting hanging on your living room wall that your great-grandmother gave you, as it may hold more than sentimental value. I am not an art dealer, and so I cannot advise on current buying trends and values. However, I would advise any person starting out to consult with an experienced art gallerist or dealer. When building an art collection it is best to diversify, particularly if you are collecting for investment purposes. If someone wants to liquidate their art collection to raise finance, the market will respond better to different works of art at various times, and so a diverse collection will maintain a certain value through its lifetime. It is important to understand the manner in which commercial platforms strategically place works ofart on the market in order to bolster the artist’s reputational value. This is done by adjusting supply to increase demand. Sometimes, the most enjoyable way of collecting art is through patronage of a young artist, as you can feel part of their journey. This is done by supporting the artist’s public and commercial exhibitions. Over time, their work will sustain a level of development which often leads to exhibitions in regional and national cultural institutions such as the RHA and IMMA. The artist will then be raised onto another platform, and that work that you purchased for a couple of hundred euros over time could be valued at a couple of thousand – and that is likely just the beginning. Art$ummit is the first independent art business conference to be held in Ireland, focusing on the art collector in commercial terms, whether they are well established collectors or merely interested in art investment. It covers all aspects of the art market. The conference will explain the importance of the art ecosystem and how it works in order to create value in an artist’s work. It will inform the person who is interested in investing in art about how to invest wisely. It is an enjoyable yet informative evening, with networking and investment opportunities. 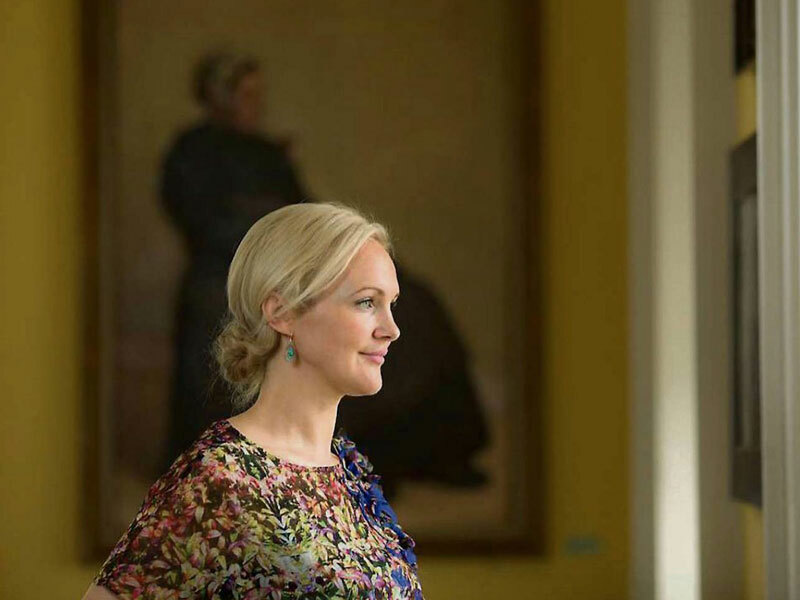 There is also a tour of the Merrion Hotel’s outstanding art collection, led by a member of the National Gallery of Ireland. The conference will open with a key note address from Sean Rainbird, director of the National Gallery of Ireland, on the gallery’s recent acquisition of some of the Yeats Family Collection and the increase in value of Irish art. The audience will hear from Rowan Gillespie, an Irish sculptor, whose journey to international fame is a fascinating one. Oliver Sears will discuss what it takes to be an art collector today. An insight into national and international buying trends will be given by Dr. Clare McAndrew, a highly respected international art economist who works closely with Art Basel and advises Christie’s and Sotheby’s on the international art market trends. Swiss lawyer Dr Anne-Laure Bandle will talk about art attribution disputes and forgeries in the international art scene. Finally, the audience will hear from industry experts about the future of art investments in terms of Brexit, VAT and the blue-chip art market from Alan Hobart of Pyms Gallery, London. Outside of learning, it will be an evening of wine, food, culture and conversation – a perfect way to end a working week. Rosanne McDonnell is a solicitor, art collector and co-founder and lead creator of Art$ummit Ireland, which takes place at the Merrion Hotel on Friday, November 3, 2017. This article originally appeared in the Sunday Business Post. You can download a PDF of the article here.